La Coupine 1 is finally back in town and we spent some quality girls time today: a little shopping, strolling through the streets and good coffee of course. Perfect saturday! Wearing my “souvenirs” from Paris: studded gloves and a double-breasted wool-blazer. BTW this chocolate-colored vespa from the 50′s belongs to an antique store in that street. It’s great! Close-up of the gloves. They are definitely the coolest accessory I own! Found at Le Bon Marché on the ground floor. The rest of this outfit is rather basic. I am saving the dressing-up for tonight;-). It’s Halloween (as one can easily tell by the two giant pumpkins in the background)! Have a great night out everyone! 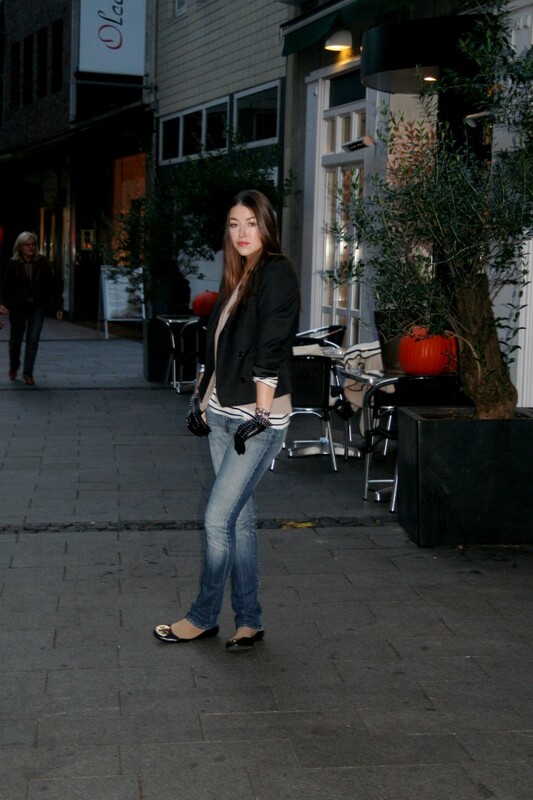 Blazer: Isabel Marant Étoile, striped tee: H&M, wool vest: Humanoid, old skinnies, gloves: from Le Bon Marché Paris, ballerinas: Tory Burch. Just perfect. An excellent clothes & complements combination. 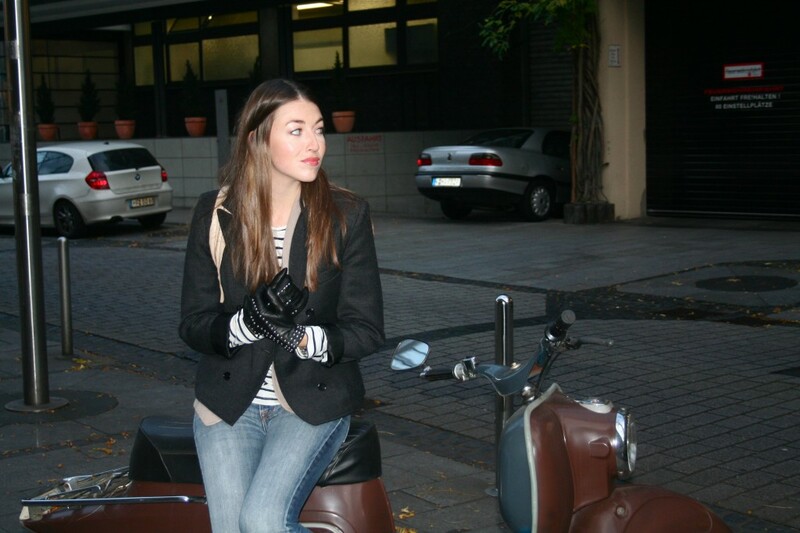 The motorcycle picture is very cute hahaha love your blog !